This week, the American Numismatic Association sponsors National Coin Week to promote coin collecting to the general public. 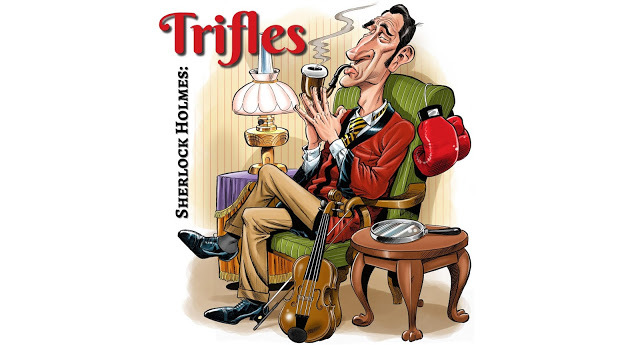 Well, our friends Scott Monty and Burt Wolder (who is the 47th Garrideb known as Dr. Thorneycroft Huxtable) got into the spirit of NCW and made this week’s episode of their podcast Trifles a discussion of old money in the canon! The terminology and math can be confusing to us today. Quid? Sovereign? Shilling? How do these relate to each other and how much buying power did they have? The episode is 22 minutes in length and is a quick listen. Check it out here. Again, our thanks to Scott and Burt for producing this excellent series of podcasts.